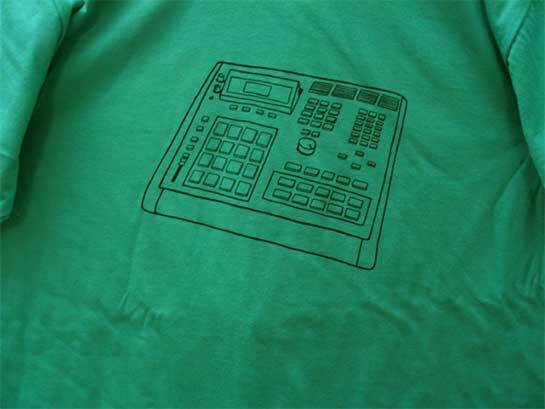 The first t-shirt series is an illustration of an Akai MPC-3000. "It is usually used as the main percussion groove instrument. Sample your beats, sequence your beats, and edit your beats all on the MPC-3000." 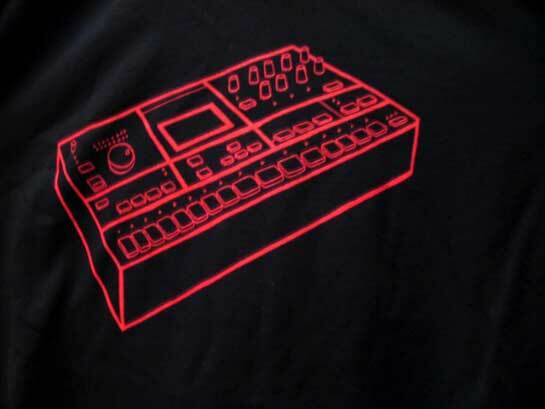 (www.vintagesynth.org) The limited edition series consists of nineteen red shirts and twenty black shirts, each silk screened by Sanches. I have sold out of these very special edition shirts! I will doing a professional reprint of olive green shirts with black ink. They will be available in the middle of September 2005. The other graphic is Machine Drum, and a limited edition of 36 t-shirts with an electric blue illustration is now available. You can find these high quality shirts at Lark 8th Avenue, my friendly neighbourhood clothing store. Say hi to Veronika and Dane. They rock! 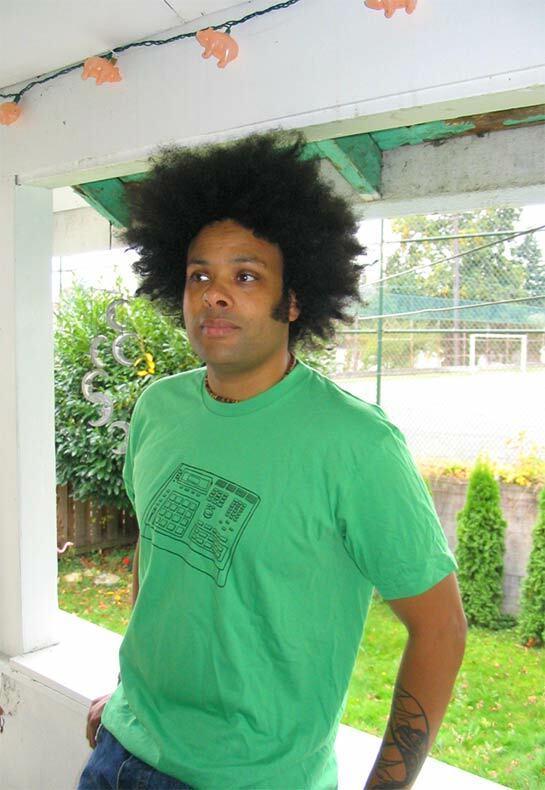 I will be reprinting this shirt which will also be available in the middle of September 2005.